A bit of context around the Government’s announcement about a new ‘default offer’ to replace the current ‘standing offer’ is useful… this is a dizzyingly complex market as it is, let alone when you start to think about introducing new offers and what that might mean for the households and small businesses paying the bills! A good place to start is Chapter 12 of the ACCC’s Report. Firstly, before we worry about the ACCC’s new ‘default offer’ we should start with the world as it is now for (complexity alert) people living in states where there is retail competition. i.e. where you get to choose your provider NSW, SE QLD, VIC and SA. The important thing to know is that there are two types of offers in the market NOW… ‘market offers’ which are (meant to be) cheaper, more sophisticated and more competitive than their cousins the ‘standing offers’ which are what you end up on if you (for example) move house or for whatever reason don’t or can’t ‘choose’ a market offer. The idea is that the ‘standing offer’ acts as a safety-net making sure that you get a basic service at a reasonable price no matter what. Sure, you might be able to get a better deal, but you can rest easy that you’re not losing out in a major way by not (jargon alert) ‘engaging in the marketplace’. The problem is that this isn’t how the market has been working… the ACCC found in its recent Inquiry that its doing quite the opposite. (page 243). The diagram on page 241 of the ACCC’s Final Report tells the story. See how the price gap between standing offers and market offers have grown in the last few years. In South Australia for example (yellow line)… it’s now $832! That is, you pay $832 more on the standing offer than you would if you were on the best market offer. The safety-net has become a drag-net! So how many consumers are on high price standing offers? The ACCC says (page 244) a lot… between 7-22% depending on the state. This kind of a gap between a ‘good price’ and a ‘bad price’ (‘price dispersion’) in a market for an essential service like electricity has been called a ‘loyalty tax’ and doesn’t pass the pub test. And that is even before we think about who are on high-price standing offers. 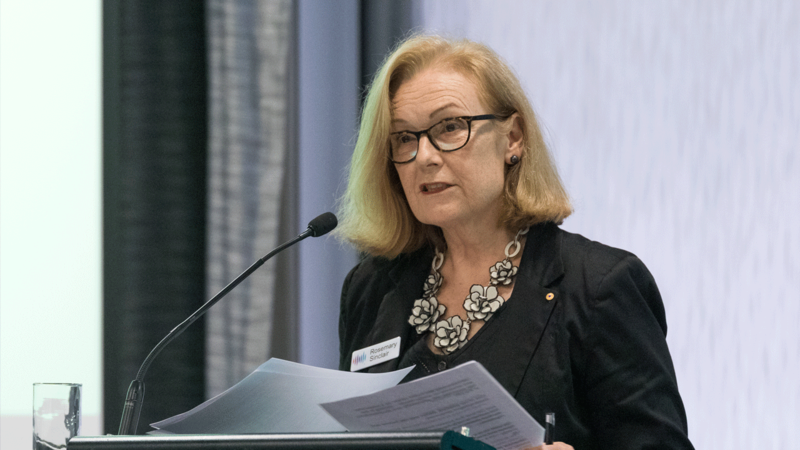 According to the ACCC, (page 244 again) consumers in hardship programs or on payment plans are less likely to be on standing offers than consumers who are not. 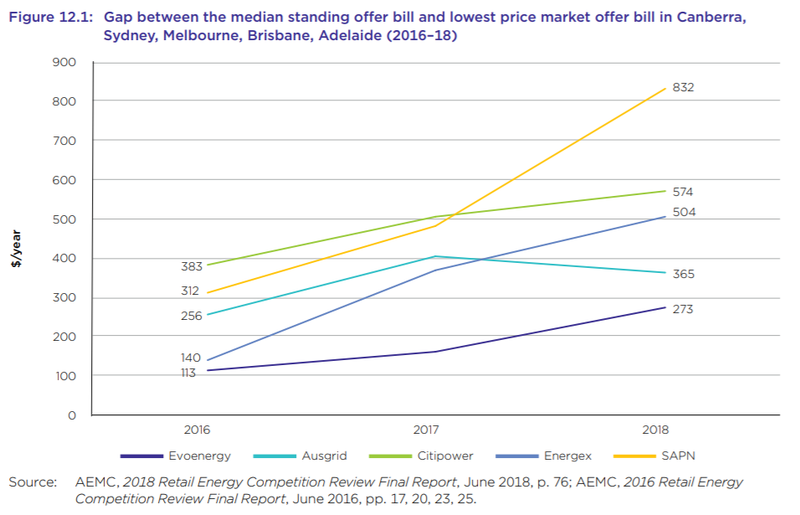 This is (on the face of it) good news but comes with big qualifications… this is only one measure of vulnerability and as ACOSS has shown, high energy prices disproportionately affect people on low incomes. 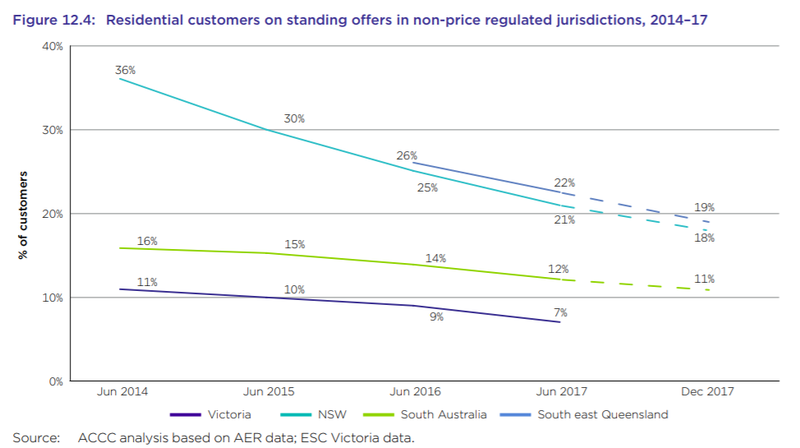 Either way people on standing offers are contributing way more than their fair share of the total revenue retailers are collecting – in Victoria 7% of people on standing offers are contributing 18% of the bigger retailers’ overall revenue. So we clearly have a problem that needs fixing and the big question is this: how do we rebuild the safety-net that works? This is where the ACCC’s recommendation for a new ‘default offer’ comes in (page 249). In plain English, this is the ACCC saying that the regulator (not individual retailers as is currently the case) should ‘set’ the price of the safety-net offer. Goodbye ‘standing offers’ set by retailers, hello ‘default offers’ set by the regulator. “It must be set above the price for competitive market offers to avoid incentivising consumer disengagement. 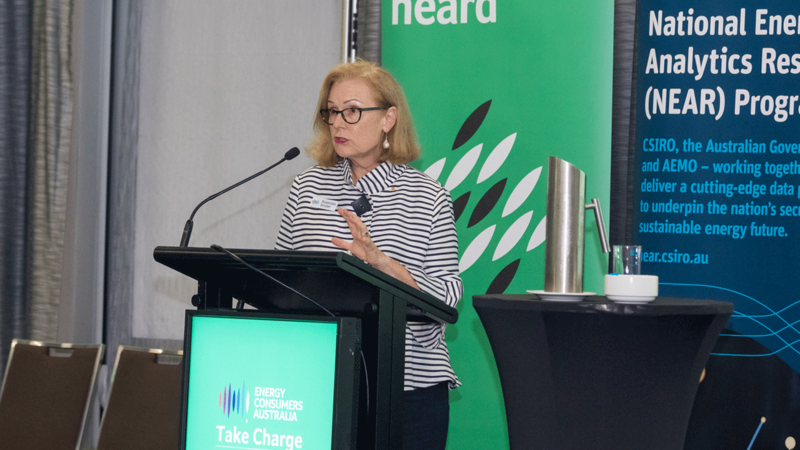 For these reasons, the ACCC considers that the AER should calculate the default offer price in each jurisdiction, including the cost of supplying an offer with additional consumer protections, such as paper billing and bill smoothing. This should include a reasonable margin as well as allowance for CARC. To get a sense of what this might involve, check out similar work by the UK energy Regulator. What consumers should expect is a default price that is higher than the median (middle) price ‘market offers’ (they remain) but much lower than the current high priced standing offers. Of course, everybody wants to know what the savings will be in concrete dollar terms under the new AER-set safety-net. The savings are likely to be in the hundreds of dollars… see the third row in the table below from page 368 of the ACCC Report… VIC $165, NSW $105, SA $140 and SE QLD $106. The other important point to make here is that every dollar saved counts. This is despite exhortations we sometimes hear ‘not to worry about extra costs’ because it only equates to a ‘cup of coffee’! To see how flawed this argument is check our blog post here. At the end of the day, what consumers are looking for is a more reasonable deal for an essential service.